Alright I'm calling the torso done. 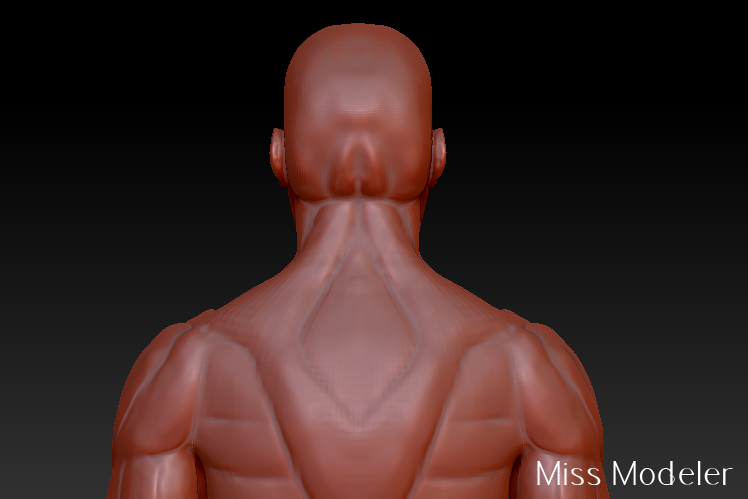 I sculpted the muscle forms and what shows of the bone sections (collar bone and ribs) and then went up to a higher division level. 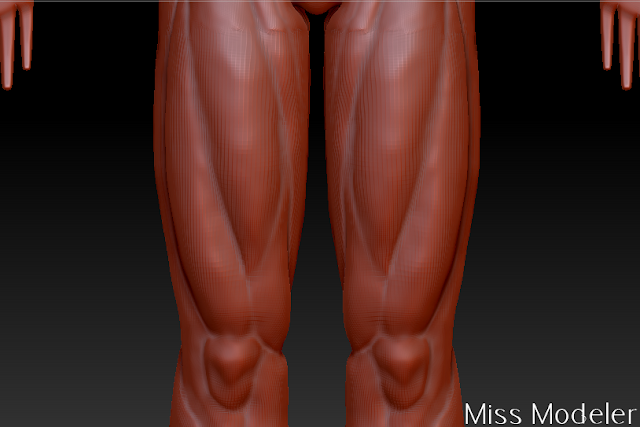 Legs are next. 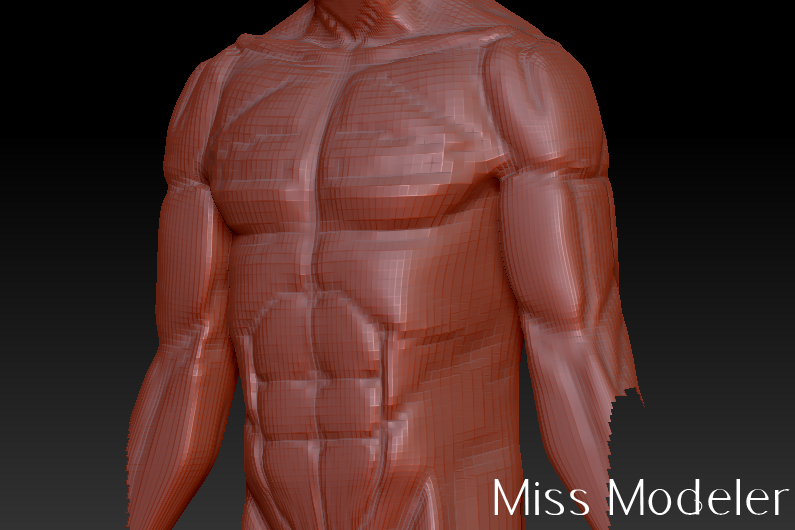 Have to take a break from the cat model tonight. 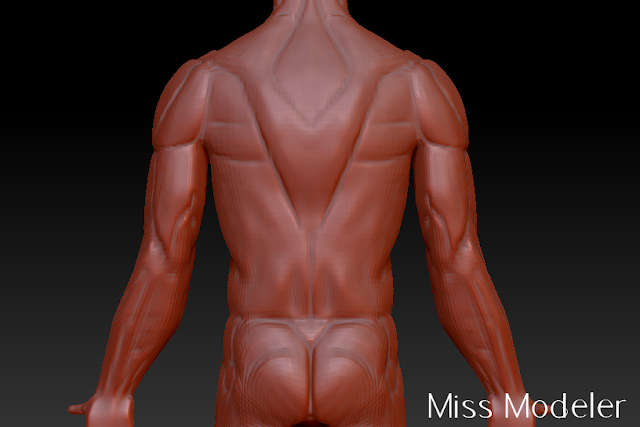 Working on some musculature sculpting in ZBrush 4R2. 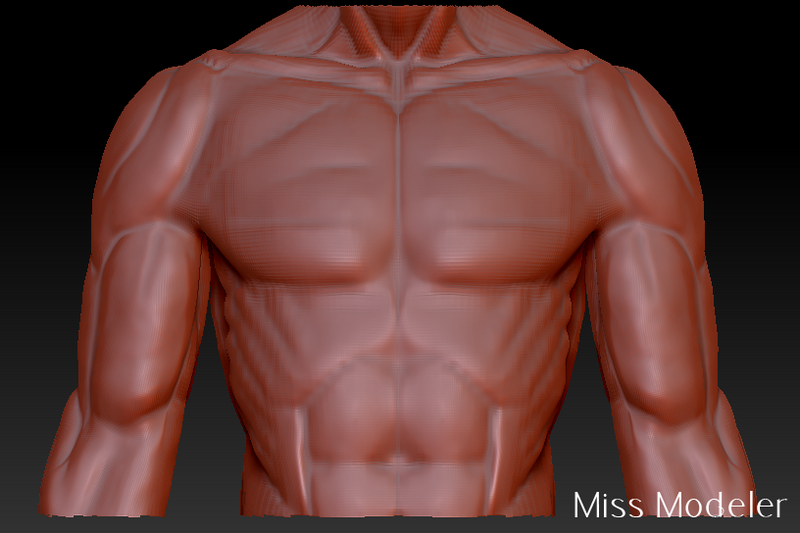 Added detailing in the pecs and collar bone. 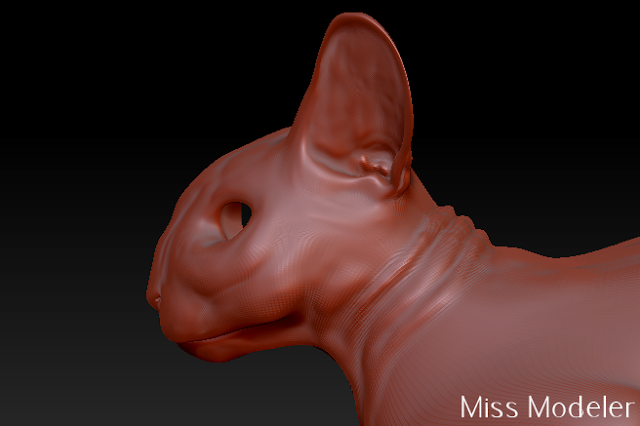 Regarding the cat's progress: I have the toes on the front feet started and continued on the face. 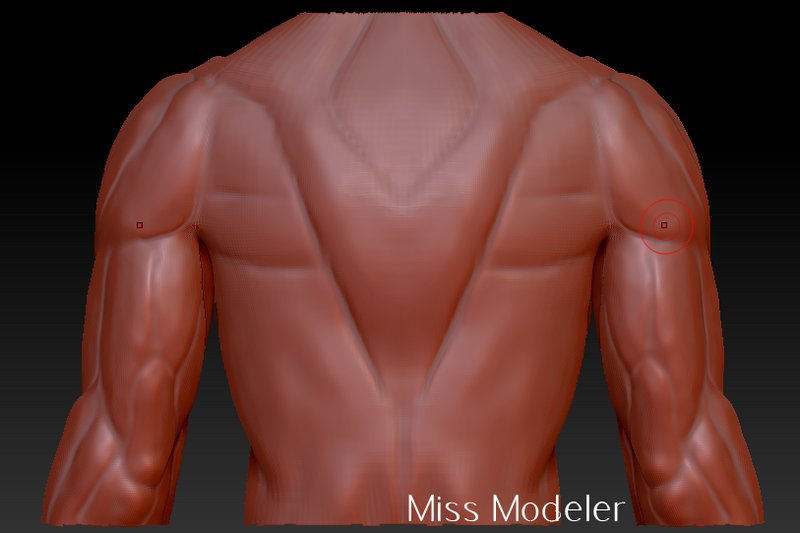 Somewhere down the line I ended up with a five sided polygon and I couldn't figure out how to get rid of it nicely since I've been staring at that model for so long. 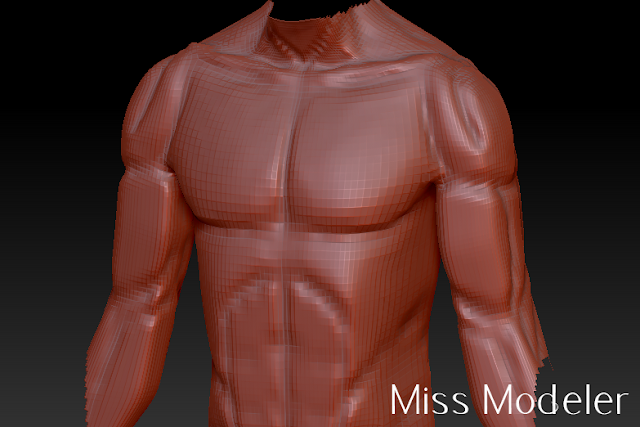 Hence deciding to move on to my other projects for a while. 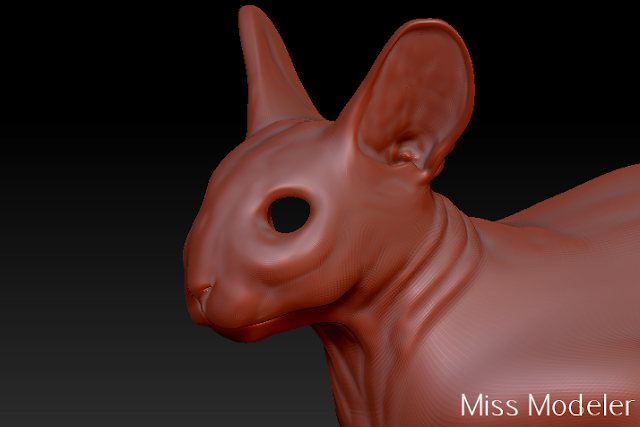 Progress on the face and ears as promised. I changed the edge flow in the head to create the muscle structure better. 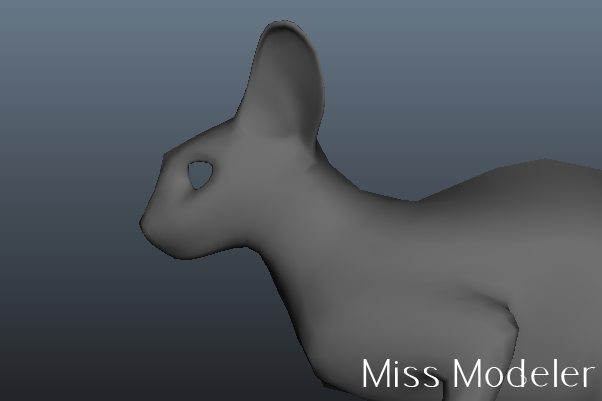 Added geometry inside the ear so I can continue to shape the ear canal. Extruded and shaped the eye area as well. I'm satisfied with my output tonight. Probably going to call it a night. 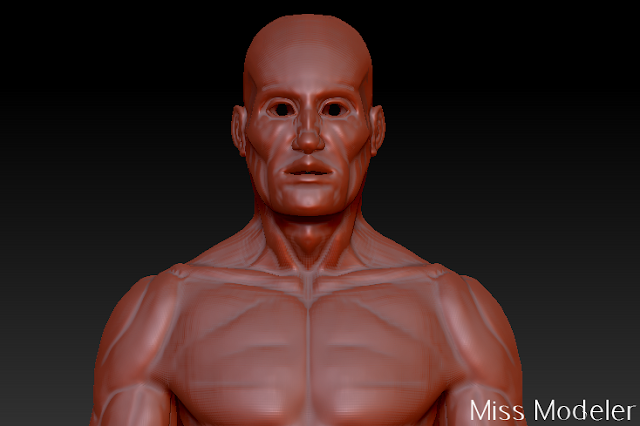 Tomorrow's plan is to work on the nose, mouth, "brow" line, and possible the feet. Excited about the feet, actually. Cats have such cool toes, and making the nail look contracted inside the toe shall prove to be a challenge. 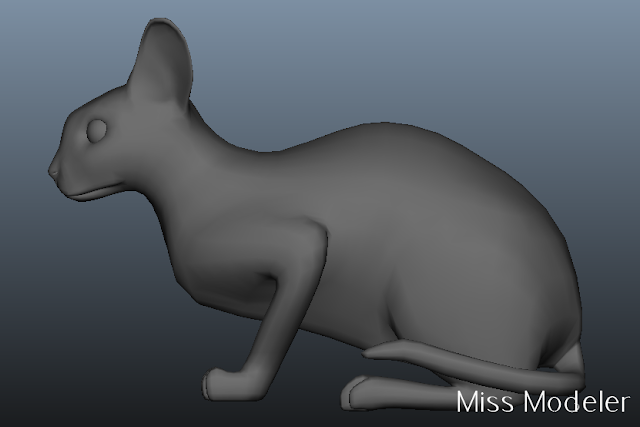 Beginning of my first quadruped model ever. 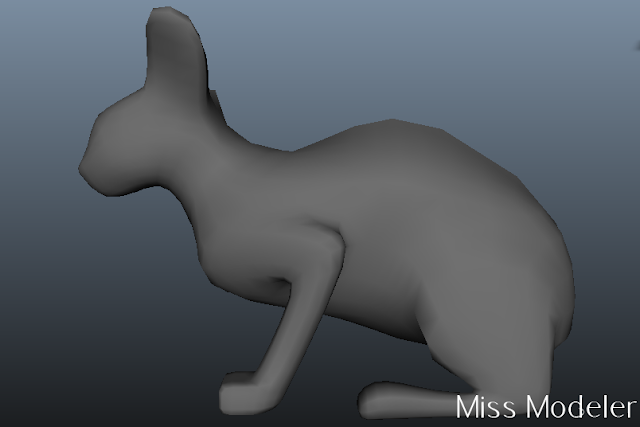 Only half of a cat right now, but it's progress nonetheless. Basic blocking of the main areas. 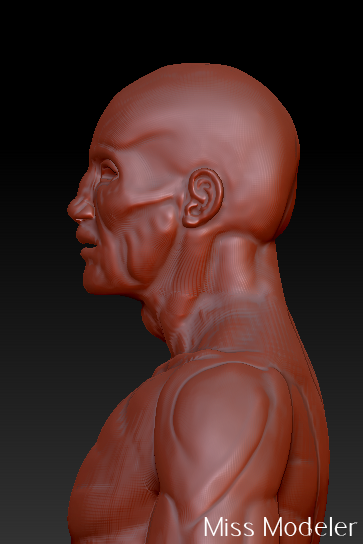 Working more on the facial structure and ear tonight. What's to follow after this project is completed? I have a few ideas floating around my head. Just sketching them out before I choose which one to tackle first. The one I'm thinking of doing is sort of Silent Hill/Dead Space-esque.